The ultimate flip flop. Made rugged and super tough with the outdoor enthusiast in mind. Born out of the desire to fly fish with the freedom of a flip flop, utilizing the traction and stability of a studded boot. 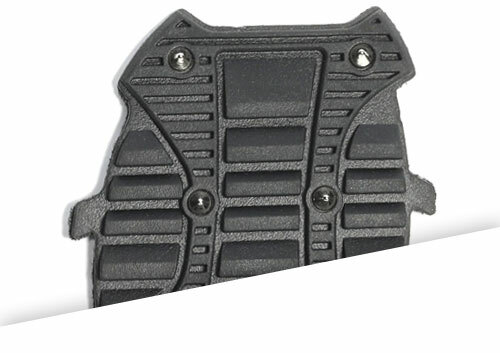 GripToeNite Gripping System: specially formulated Injection-molded removable grips that are designed specifically for each respective application to maximize traction, stability and comfort. Built-in stainless steel cleats and aggressive rubber bottoms keep your footing on rugged trails and river crossings. Simply attach them onto your FlipRocks before you head out, or when you know water is going to be part of your day’s adventure. This sole is a great option for Hikers, fishermen, wilderness athletes and anyone who needs sure footing. This GripToeNite gripping pad is the best option for all-around, everyday use. Equipped with an aggressive tread design that is perfect for hiking or just running errands. These pads are extremely rugged and perform perfectly in rough terrain to protect your feet from the harsh grounding, yet comfortable enough to wear just about anywhere. The Kayaker GripToeNite gripping pads are the perfect match for any paddling adventure. 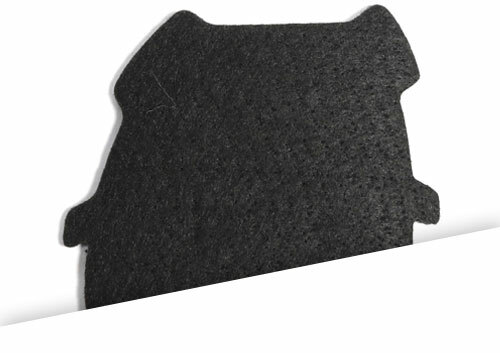 These pads feature a felt sole for keeping your balance and stability when walking across algae covered rocks on any rugged coastline. Get your yak in the water safer, and get out to explore islands or fish jetties without worrying about falling on slippery rocks. All boat owners know what it's like to clean black scuff marks off the top deck. The Marine Sportsman Griptoenite pad was designed specifically for you! Made out of a neutral color gum rubber that doesn't scuff or mark your boat, yet is super grippy with wave sipe tread for wet or dry conditions. Take them on your next sailing adventure for a non-marring sure grip on the top-deck. We at FlipRocks Extreme Footwear like to do everything in our flip flops. Why should golf be any different? Go from the river, right to the tee box without missing a step! The Gopher Griptoenite gripping pad features 10 super aggressive soft golf cleats that are club house approved! Have the freedom of a flip flop or sandal with the comfort, support and grip of a traditional golf shoe. Own the river or the jetty and concentrate on your presentation, not your footing. 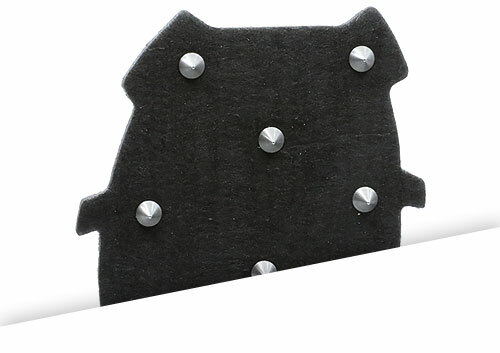 We merged our felt gripping pad and the Water Trekker spiked pad to create the River Master Griptoenote gripping pad. Bringing the best of both world’s together of slime gripping felt and the superior traction of high-grade stainless steel spikes. Perfect for wet wading or walking jetties. 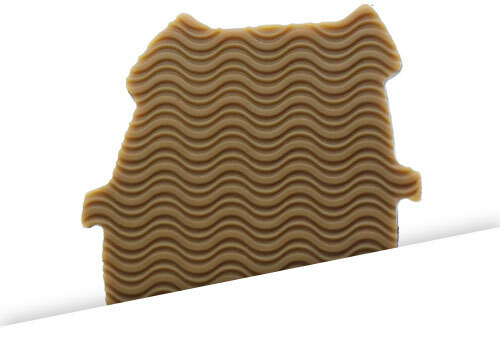 This is our most aggressive Griptoenite grip to date. 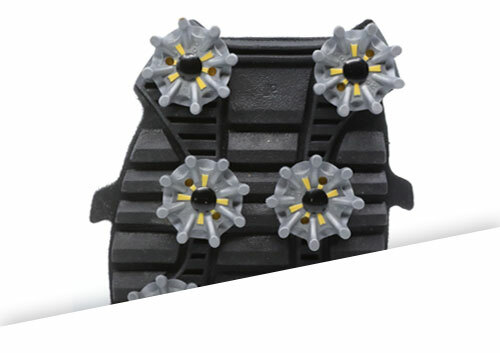 Created for maximum traction in the most demanding environments. 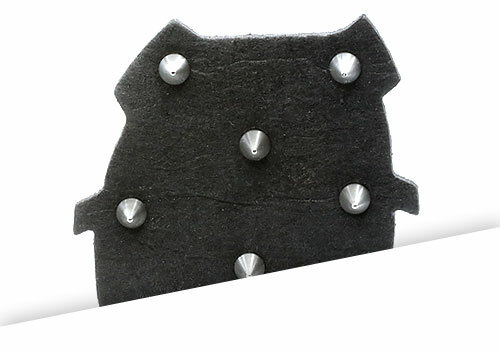 A combination of extra tall, extra tough stainless steel spikes along with slime gripping felt. Our Surfcasting friends out on Montauk, NY challenged us to design a tread that would tackle rockweed on the rocky seashores while fishing for striped bass. This grip is sure to tackle that and then some. Earning it’s name the G-Rex for its enormous teeth.